Oakley took all the protection, comfort and performance that pro riders demand and distilled it down to a youth fit that brings the best of Oakley innovation to smaller faces. Optimized fit for youth/smaller faces. Anti-fog, scratch-resistant and impact-resistant Lexan™ lens. My son ordered these when he first took up riding. Very comfortable for 10 year old. Great quality and easy to clean. 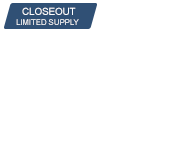 I would recommend these goggles for anyone looking for a reliable product for a great price. Oakleys always fit good and are comfortable. Oakley goggles have always been good. Had them when I was younger know my boy is wearing them. Kids love them fit great. Purchased for my son. He had Scotts before these and he prefers these. They don't fog up on him. I really like these goggles there a little peace of my heart, Oakley has been in are family for generations and more to come my grandpa wears them my dad wears theme my brother wears them and I were theme I'm guest looking for the other pieces. They look good & fit my son well. My son loves them. They are very comfortable to him. He never complains about how they fit. look good and fit great. excellent quality. NICE GOGGLES AND THEY LOOK GREAT. 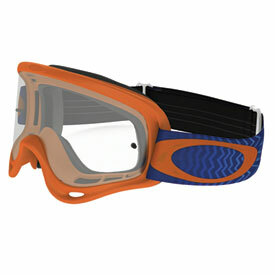 These youth Oakley XS O Frame goggles are a perfect fit. Each time I've worn them there has been no fog-up on the lenses and although I've done my fair share of roughing them up, there have been no cracks or damage to the lenses. Had given my son plenty of cheap goggles. When I brought home a nice pair of Oakleys he really took care of them, and more importantly he never complained about fit or fog.